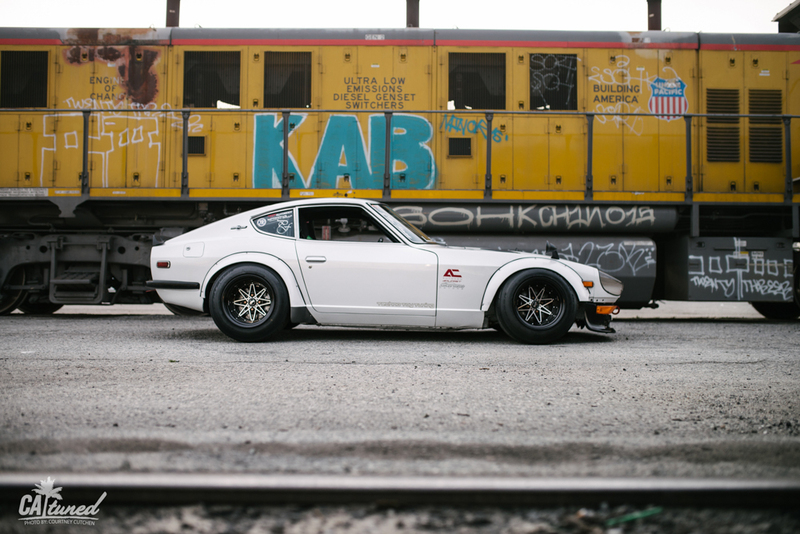 Kevin’s S30 is special, there’s no other way to put it. 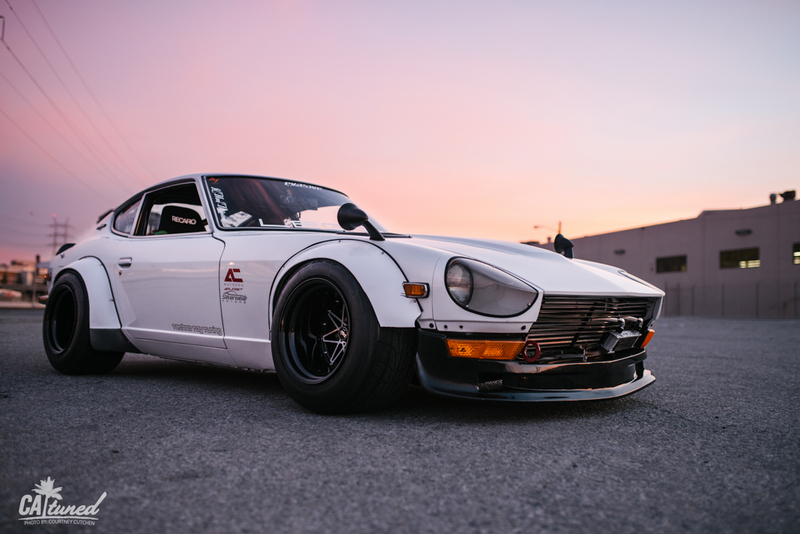 While the popularity surge of the classic Datsuns is still on the rise, it’s easy to notice that there are quite a few of them that tend to look very similar. Then, there are people like Kevin, who completely break out of the typical Z mold. 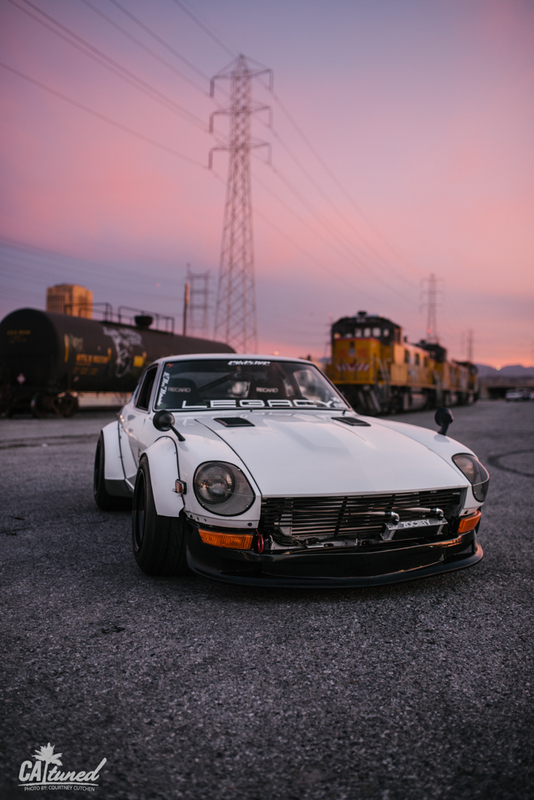 Kevin’s 240z has seen the pages of magazines and the screens of internet blogs for a number of years now, and it has definitely accumulated a following. I think this car is so appealing because it’s different, and it is a unique extension of his style. 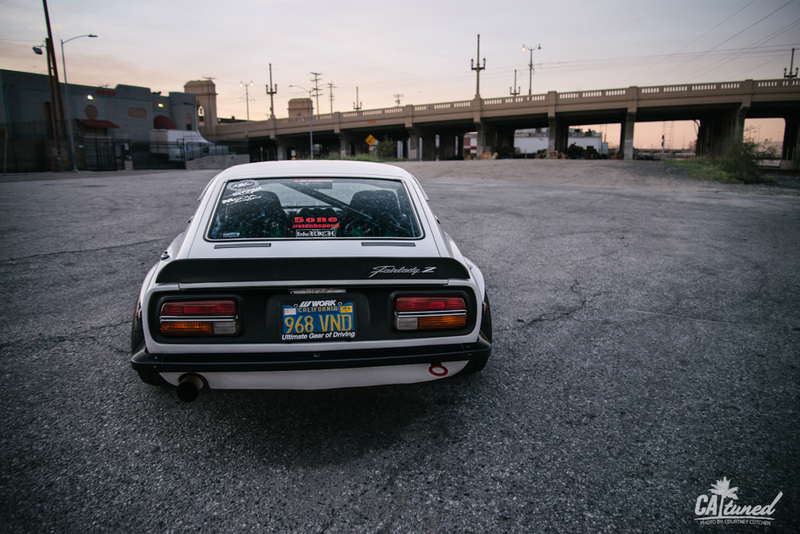 “What caught my attention on this particular chassis comes from an anime and manga adaptation called ‘Wangan Midnight,’” Kevin explained. 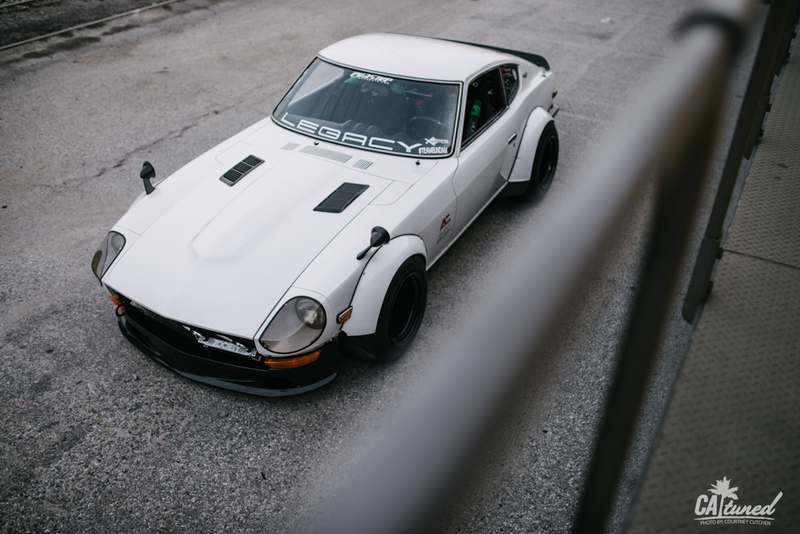 He went on to talk about the series’ midnight blue S30, which, as many of you know, was dubbed “the Devil Z” after killing its previous owners in wrecks. 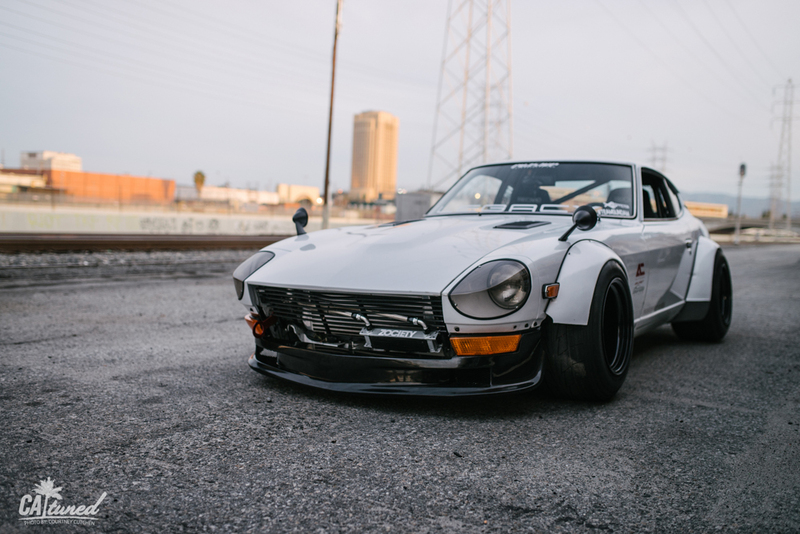 Kevin essentially fell in love with the idea of the Devil Z, and decided to build his own version. To see the car in person is almost a must. Photos of it look beautiful, but in the flesh (or metal), it’s stunning. 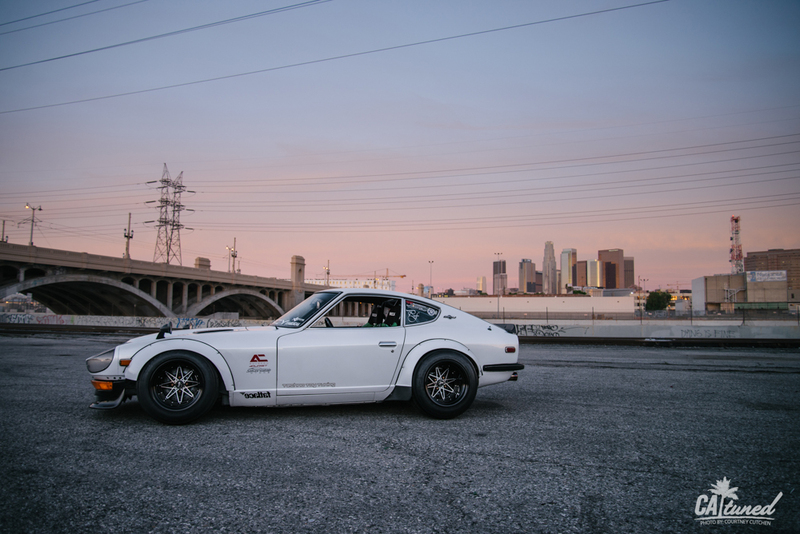 Kevin chose Starfire Pearl White for the exterior color, which looks great on the S30 platform. The car is low, wide, and aggressive. The Works flares add plenty of room for rubber and wheel, which Kevin has not neglected. The Z is running custom Work Equip 03 wheels, both front and rears coming in at 15x12.5 with -70 offset. 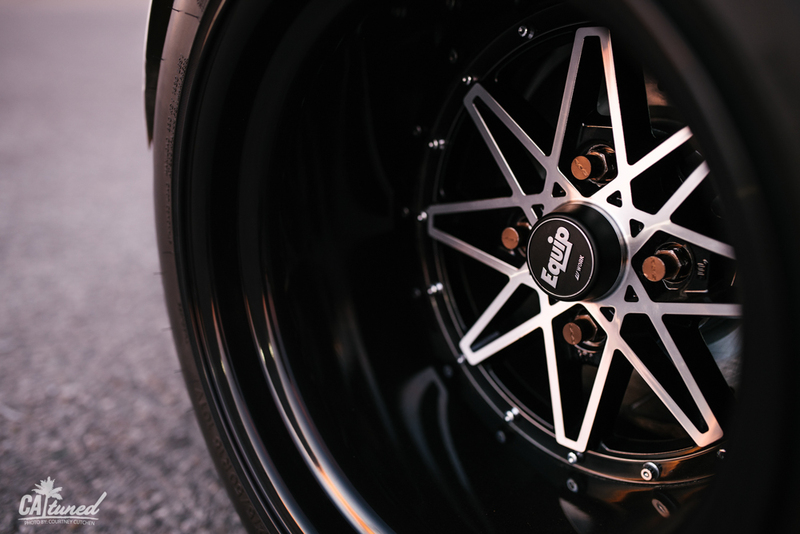 The Equips were wrapped with Nitto 275/50/15 tires at the time of the shoot. Since then, Kevin has slightly downsized, as he prepares the car for more track oriented use. 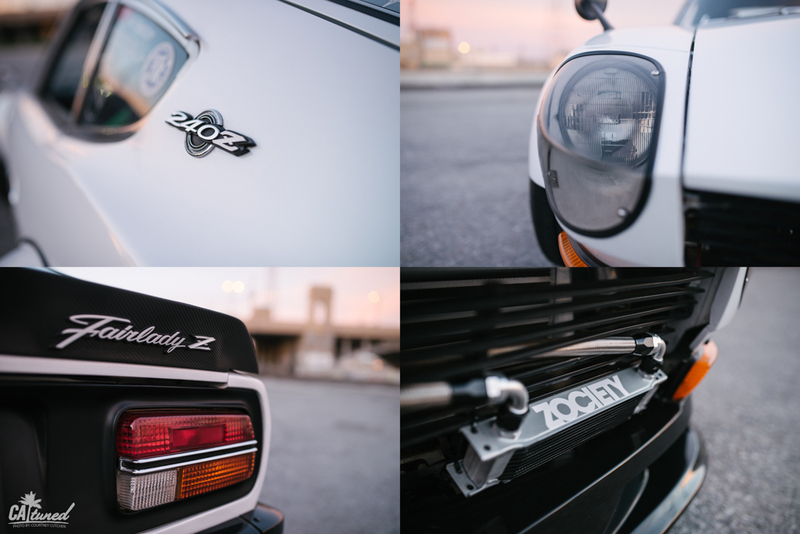 “The build process for the Z has beens slow and steady, but always with big changes and plans in mind,” Kevin said. He has been building the car since August of 2012, and it has gone through a couple of different looks since then. 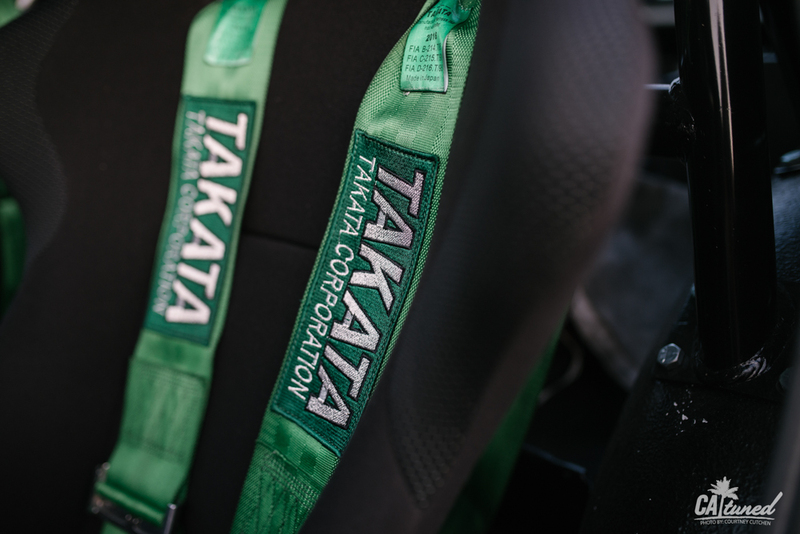 Inside the cab is comfortable and certainly not bare, but there is still a great sense of connectivity with the car. 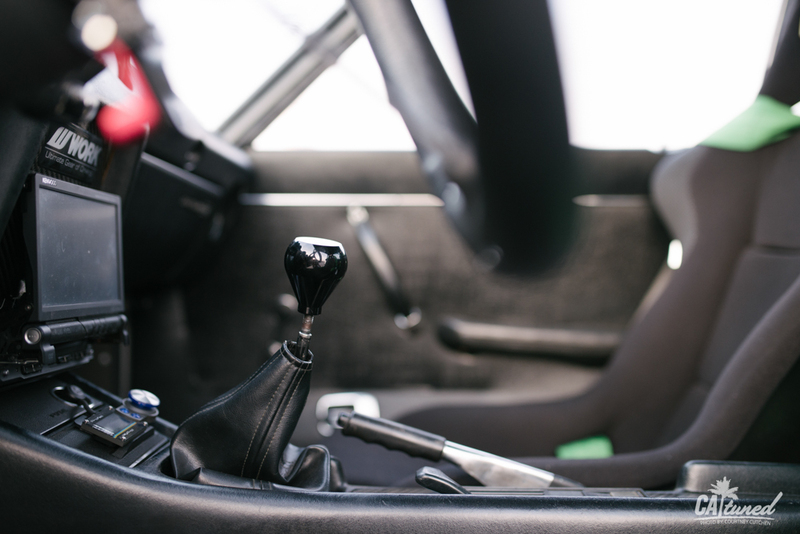 One thing about S30s that always gets me is that the interior can be either bone stock or completely ripped out, and either way, it just works so well. 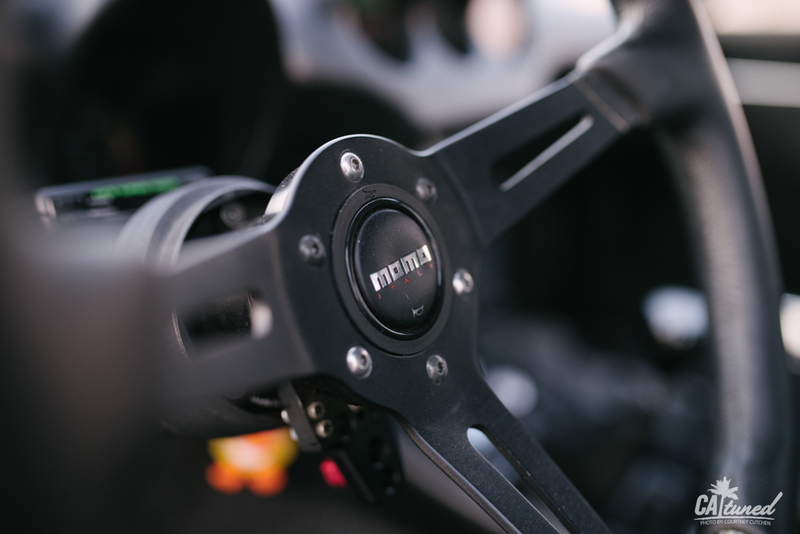 As Kevin mentioned, the car will be seeing the track in its future, where its roll bar, Recaros, and Momo wheel will all feel in their element. 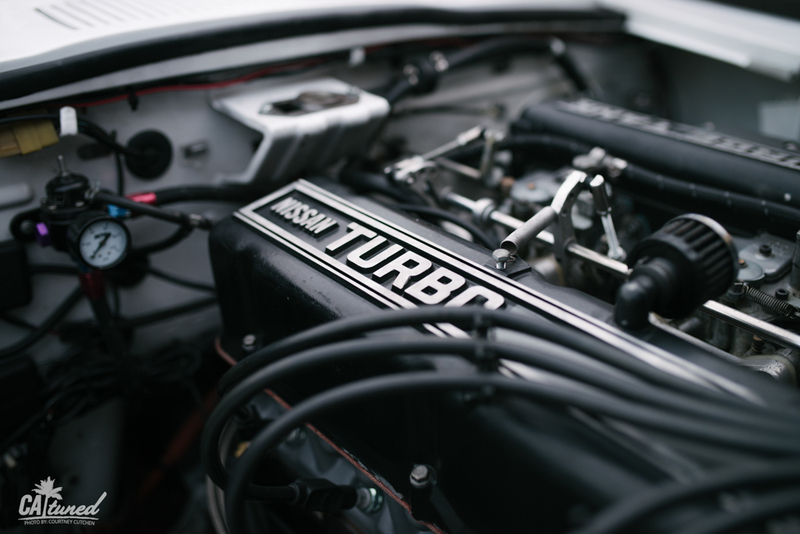 However, it isn’t necessarily the interior or cosmetics that Kevin is infatuated with, but rather, what’s hidden in the engine bay. This is one of the best parts about the car, in my opinion. 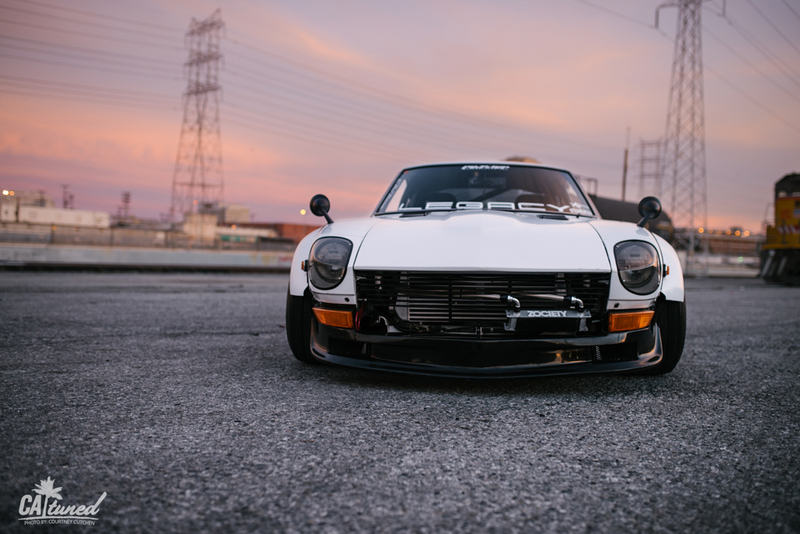 It screams “nostalgia.” This Devil Z is powered by a twin turbo L28 power plant. 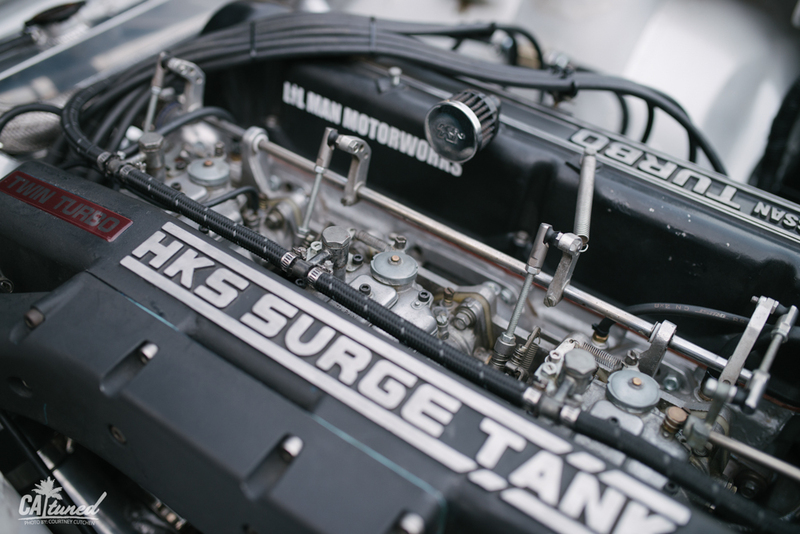 Throughout much conversation during the shoot, it was obvious that Kevin’s affection really fell toward the HKS turbo surge tank and his triple Mikunis. Honestly, why wouldn’t you swoon over this setup? “All aesthetics are at least obtainable, but finding the HKS blow through tank and twin turbo manifold for the L28 was hard,” he told me. “It took a lot of time and patience.” The Z has yet to run on a dyno, but Kevin estimates its horsepower to be around 300, or just under. For me to shoot Kevin’s Z was a bit like meeting a celebrity. I know, it sounds really cheesy, but there are just some cars that I admire on another level, and Kevin’s is one of them. It’s a build that you can look at and see the hard work, time, and dedication that it took to create. 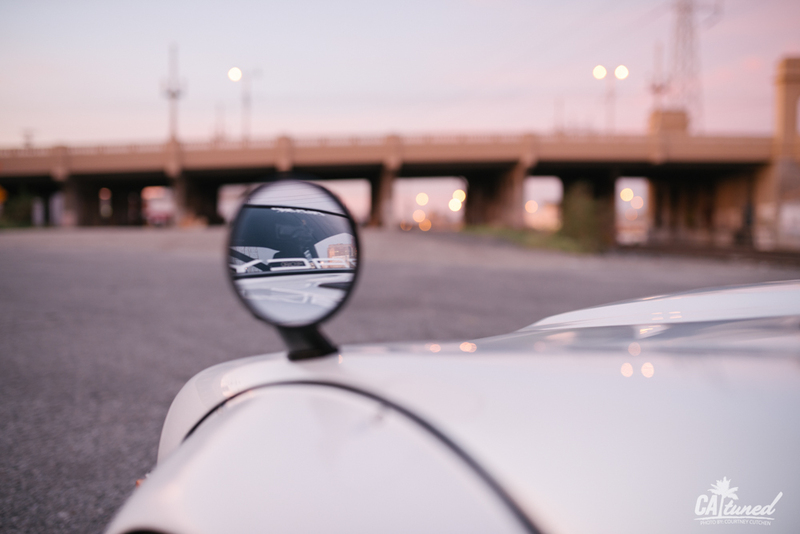 Anyone who drives a car they’re passionate about is doing it right. While Kevin sums up the car using one word (troublesome), he truly enjoys it and continues to develop plans for its future. We can’t wait to see what you do next! Afternote from Kevin: "I would just like to give a shout out of thanks to the people who have helped me in some way on my journey in building the Z up to this point. I want to thank my girlfriend Elainna for encouraging me constantly, my friends for always being there for me, TonyD for giving me tuning advice, Courtney and Dustin for this opportunity, Ivan from LilManMotorworks, Hugh from Evasive Motorsports, Platte Forme AG, DTM Autobody, Joey and Felicia from 9K Racing, Seibon Carbon, Launch Distribution, JPNGarage, 5One, Silvermine Motors, the Purist Group, Team Legacy and last but not least #TeamGundam."